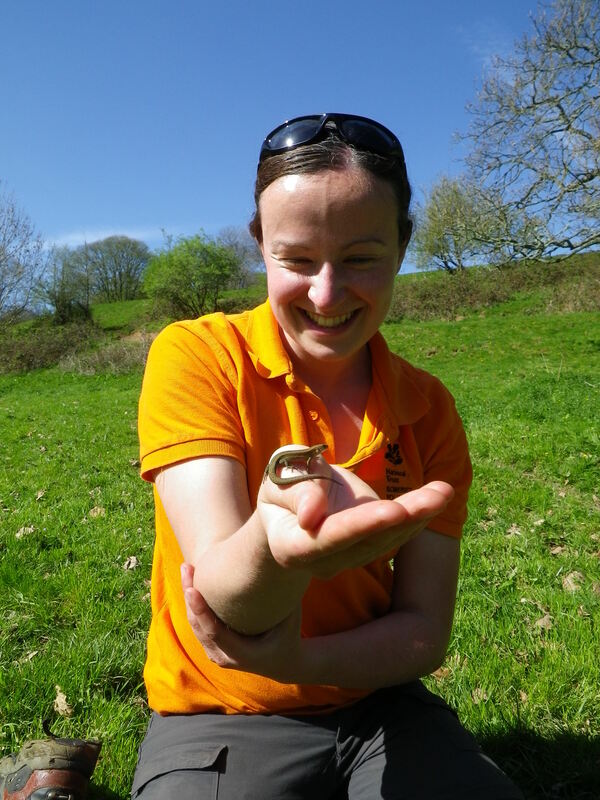 Today I had a delightful encounter with a common lizard (Zootoca vivipara) in a woodland near Llanbradach in South Wales. While walking along a path in the woodlands I spotted her (I think it was female) sunning herself on a leaf. Lizards and other reptiles need to bask in the sun’s heat to reach optimum body temperature on cooler days. She was very co-operative and let me take lots of close up shots before slipping away. The common lizard lives farther north than any other reptile and is wildly distributed across Europe and Asia. It’s the only reptile found in Ireland! As an adaptation to cooler climates the lizard gives birth to live young (viviparous). When the seasons change this little lizard will hibernate from around September/October until February/March. I think I’d like to do the same, sleep through the winter! 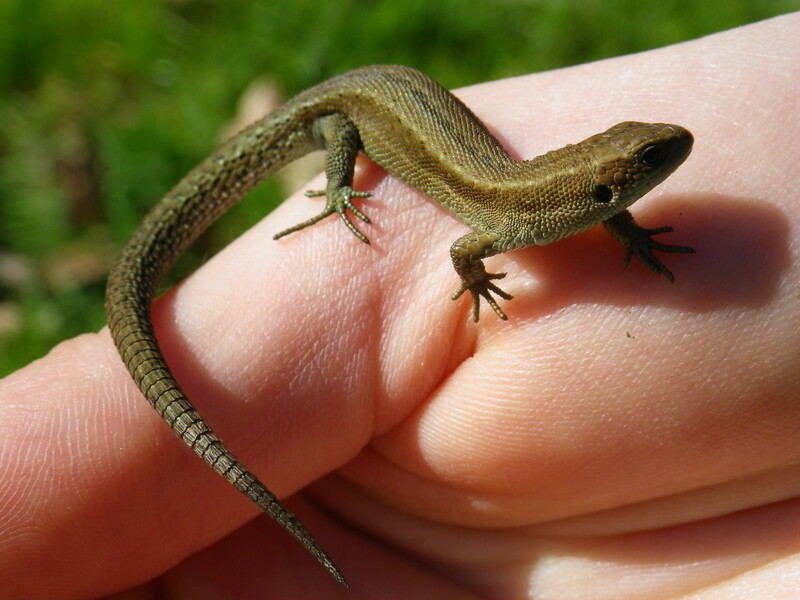 Lizards feed on invertebrates such as earthworms, insects and snails. They shake their prey in their mouth to stun them before swallowing them whole. When she eventually did turn to move away I noticed she was missing her tail. Caudal autotomy or tail-shedding is a self-defense strategy against predators. The tail grows back, but in the mean time the lizard will suffer from reduced mobility and slower growth rates. Lizards don’t seem to mind me. 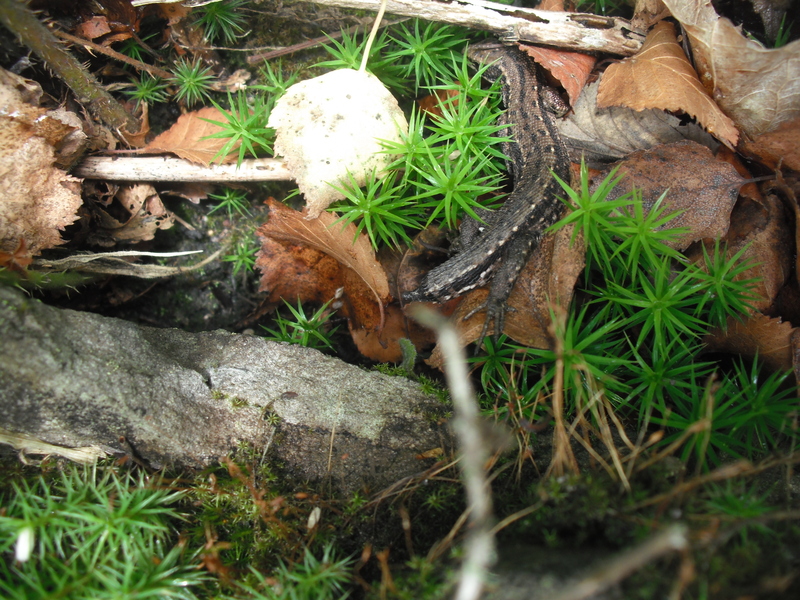 As a volunteer with the National Trust James H got some great shots of another common lizard (this one might be male?) who i had encouraged onto my hand and was very happy to stay there. They are fascinating little creatures!